Ecuador is a pocket-sized slice of beautiful South America. Despite its modest size, it is bursting with vibrant culture, mesmerising landscapes, exotic tropical wildlife and pristine habitats. It encompasses the all-consuming emerald Amazon, rich in natural resources and home to a wealth of fascinating creatures and indigenous communities. Ecuador has a picture-perfect capital city painted in pastel colours, alive with cafés, clubs, bars, churches and museums. Markets where friendly locals sell their wares are surrounded by the hustle and bustle of traditional street life. In contrast, the peaceful and serene Andes provide a home for indigenous mountain communities and enigmatic mountain creatures alike. 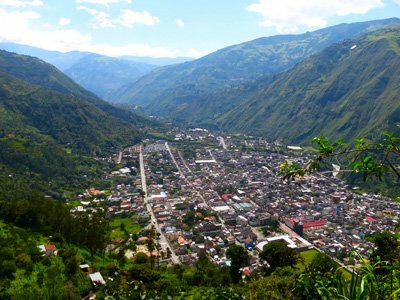 Medical Volunteering in Ecuador – Ideal for medical students with Spanish speaking skills! Medical Volunteering in Ecuador offers exposure to a culture that is expressed in an abundance of delicious cuisine, diverse musical forms and colourful festivals. Ecuador is one of South America’s tiniest countries and its diversity is exciting as it is interesting. White sandy beaches, spectacular mountains and the gateway to the Galapagos Islands. However there are villages and towns that are extremely poor without adequate medical assistance, and in many cases still use ancient jungle produce to attempt to cure themselves. Intermediate level Spanish skills are recommended for this project. When medical volunteering in Ecuador, you will be based in Guayaquil. This program is best suited to medical students with an interest in paediatrics or surgery. The placement will allow you to observe medical practices and give you the opportunity to take part in the day-to-day running of a hospital. Those with determination, enthusiasm, aptitude and motivation are able to assist the doctors and nurses in their duties and gain experience of administering healthcare to the Ecuadorian people. Please remain open-minded and flexible with the hospital conditions. You may find it interesting and challenging to resolve issues without the same technologies used in other parts of the world. The hospital has 160 beds and comprised 80% pediatric and 20% adults. It belongs to a non-profit organization: Sociedad Protectora de la Infancia and the name is Hospital “Leòn Becerra”. Your work may consist of basic healthcare activities such as taking histories, diagnosis, prescription and diagnosis of ailments and giving assistance to the existing medical staff. However, please note that your level of involvement will depend completely upon your own previous experience and qualifications as well as the needs of the hospital at that time. It is therefore important to remain flexible. Some volunteers may be given the opportunity to get involved with various community outreach programmes such as medical camps, health education, community visits and other relevant activities. Your program will run Monday to Friday. Please bring a white coat, scrubs, stethoscope and pulse oximeter (if possible). This will provide you with a comprehensive learning experience whilst still giving plenty of time to see the sights and experience the hustle and bustle of the festivals of the country. You will be collected from the airport by a friendly local staff member and escorted to your guesthouse accommodation in Guayaquil. The staff will help with your orientation and you will have time to settle in and get acclimatised. The staff will be more than happy to help you with any questions you have and you’ll feel at home in no time in this friendly, vibrant community. On your first day of work, the guesthouse staff will show you how to travel to and from work via the Metrovia bus. The guesthouse will provide a buffet breakfast daily and lunch will be offered by the hospital while you are at work. For dinner, there are many local specialities found in cafes and restaurants include lemon marinated shrimp, ceviche, which can be made with fish or seafood, and marinated beef steak. Vegetarians are welcome and there is an extensive range of dishes on offer for non-meat eaters. Your medical voluntary work may be eligible for CPD points from your relevant college. We will forward the guiding notes with your travel documents. We recommend that you advise your student or professional indemnity provider of your medical volunteering in Ecuador in advance of travel. Passports must be valid for 6 months AFTER you return home and have at least two blank visa pages. We are happy to advise you on the current visa requirements for the countries that you are visiting and we are also able to arrange your visa in advance of your departure. Please ask for assistance. Most nationals, including citizens of Australia, do not need a visa to enter Ecuador for up to 90 days as a tourist. It is a condition of your travel arrangements that you have current travel insurance to cover against cancellation fees, medical expenses, lost luggage and evacuation. Please ask if you would like any assistance with your travel insurance.